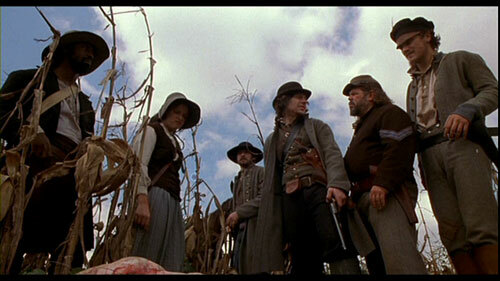 Today, I’m going to take a look at the 2004 horror western Dead Birds. The screenwriter for Dead Birds was Simon Barrett, who also served as a producer on the film. He has gone on to write noted horror and thriller films like The Guest, You’re Next, Frankenfish, and Blair Witch. The director for the film was Alex Turner, who has been behind a handful of other films, including 2009’s Red Sands and the upcoming film The Voyager. The cast of Dead Birds includes Henry Thomas (E.T., Legends of the Fall, Gangs of New York, Suicide Kings), Patrick Fugit (Saved, Wristcutters: A Love Story, Gone Girl, Almost Famous, White Oleander), Michael Shannon (Nocturnal Animals, Pottersville, The Shape of Water, Revolutionary Road, Midnight Special, Kangaroo Jack), Mark Boone Junior (Memento, Batman Begins, 30 Days of Night, Sons of Anarchy, Vampires, The Quick & The Dead), Nicki Aycox (Perfect Stranger, Joy Ride 2, Jeepers Creepers 2), and Isaiah Washington (Exit Wounds, Hollywood Homicide, Grey’s Anatomy). The cinematography for the film was provided by Steve Yedlin, who has been a go-to director of photography for Rian Johnson, shooting Looper, Brick, Star Wars: The Last Jedi, and The Brothers Bloom, as well as other movies like San Andreas and the remake of Carrie. The editor for Dead Birds was Brian Anton, who cut television series like Cold Justice and Sid the Science Kid, as well as a handful of independent films. Dead Birds was filmed in and around Mobile, AL, which is also the approximate setting for the film’s story. In the handful of scenes that take place in the town of Fairhope, AL early in the film, the Dead Birds production utilized the still-standing sets from Tim Burton’s Big Fish for the backdrop, which was filmed in the area the previous year. In February of 2010, after years of word-of-mouth circulation about the film, Dead Birds got a special theatrical screening in Los Angeles at the NuArt Theater, to the pleasure of many of the fans it gained along the way. 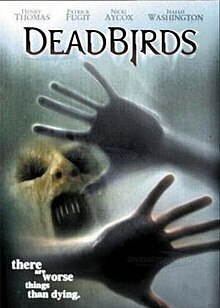 Currently, Dead Birds holds a 5.7/10 IMDb user rating, alongside Rotten Tomatoes scores of 50% critics and 40% audiences, which are far from ideal numbers. That said, the movie certainly has some fans. First off, Dead Birds has an interesting premise. A cursed farm that tortures those who wander across it is an interesting enough start, but making it a Civil War period piece gives it an intriguing flair. The Western aesthetics and character types are interesting to see in a horror setting, and the entertaining cast of character actors add a lot of color to the scenario. Unfortunately, Dead Birds has some serious issues. First off, the effects are a bit uneven: some shots are pretty cool, while others are jarring and rough around the edges (particularly the demonic facial contortions). Likewise, the story isn’t conveyed very well: outside of a choppy flashback vision sequence, there isn’t much in the way of exposition to walk the audience through the gang’s spooky predicament. Characters are also dispatched a bit too easily, and without either fanfare or gore, which should be most of the fun for a Lovecraft-inspired horror flick. Last but not least, Dead Birds suffers from an inexplicably terrible title. 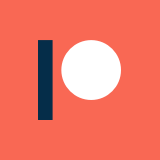 I have gone back and forth in my head trying to figure out why they settled on that name, and I haven’t the slightest clue. I’m not sure how they thought that title would convey the sort of movie they had made, or how it would appeal to an audience looking for a horror-western, but it definitely doesn’t work. Honestly, with a better title, I suspect this movie would be a bigger underground success. Overall, Dead Birds is a flawed, yet interestingly-conceived film. Even though it doesn’t much deliver on the promise of its premise, it is hard not to give it some credit for the effort. In a lot of ways, 2015’s Bone Tomahawk does what Dead Birds wanted to do: throw a colorful cast of Western characters into a horror movie scenario, and see what happens. As far as a recommendation goes, horror fans might enjoy this as a deep cut. There are also plenty of recognizable character actors in the cast that film buffs might get a kick out of, even though none of them get much time or opportunity to do much. For most people, I think this flick would be a bit too dull. For this most part, this is a skippable movie. However, if you haven’t seen it already, Bone Tomahawk is everything this movie could have been and more.